The Gaz came in for an Ultimate fitting looking for more consistency in his bag to go with the amount he practices and plays. This was one of the most enjoyable days I’ve had of fitting so far as Gaz was a good laugh and enjoyed learning about good gear and understanding how the product will help his game. Callaway Epic Flash Sub Zero set to S-D with Accra FX 2.0160 SST Pure'd. Callaway Epic Flash Sub Zero set to S-D with Mitsubishi Chemical Diamana BF 60 SST Pure'd. Another good product to help Gaz turnthe ball over a little more and avoid the right miss, we were getting good launch and energy off the head while the shaft was helping to control spin andgive good feel. Callaway Big Bertha 18 deg set to N+1 with Aerotech Steelfiber i70 SST Pure'd. This club helped to bridge the gap between Garry’s Fairway and Irons finding good launch from the head match with the lightweight stability of Steelfiber golf shaft. Srixon Z585's 5-AW with Aerotech Steelfiber i95 shafts SST Pure'd. 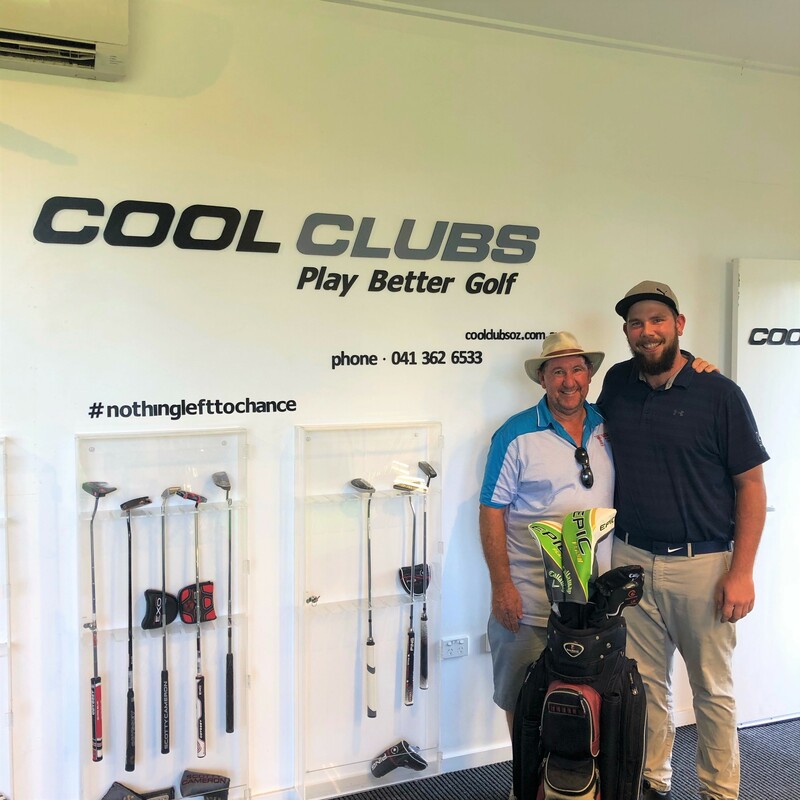 Fantastic combination finding Gaz not only a few extra metres with his irons but more importantly good launch landed and spin numbers combined with the soft feel of the forged heads matched up with stable yet smooth feeling of Steelfiber golf shafts. Cleveland RTX 4 Tour Satin 56.08 Low With Modus 105 steelshaft. Gaz has a really good short game and needs only 1 wedge around thegreens, we went with the Low grind in Cleveland as it had the best interactionwith the turf on the variety of shots that Gaz plays with this club. Scotty Cameron 7M 33" with Flatcat Pistol grip. We got Gary into something a little shorter with length to help with connection whilst still keeping his eyes over the ball, the Futura head size combined with top line and face balance really helped with Gary lining putter up square and returning square, The larger Flatcat grip really helped Gary to get his hands into a good position at set up.